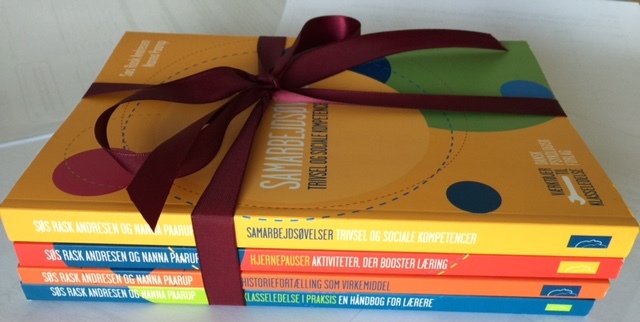 We have published four books in Danish (so far) about how to teach and train even better with the purpose to create more learning time and well-being in the Class. The four books are part of the series “Tools for class management”, which offers tools that can be immediately implemented in the daily lessons, to strengthen the professional practice in schools and educational institutions. If You find the content interesting, we would love to know, because we are looking for at way to translate the books into English and German. Contact us here info@skolekonsulenter.dk. The book is designed for you, the team and the school – for anyone working with class management in practice. You can focus on doing more of that which works, and on adjusting and doing something different, when you are stuck or challenged. The book is a directly applicable tool for your own process and development as a teacher and leader. We have transformed theory and research into practice, so you can implement the knowledge of classroom management directly in your teaching with the aim to increasing the learning outcome for your students. The book is intended for people who wishes to use stories, metaphors and anecdotes as a tool in teaching. You may already be working successfully with class management and development of your teaching practice, or maybe you are just getting started. • inspiration to develop and communicate your own stories. The book includes 42 selected stories, a theoretical foundation and practical tools to work with a narrative approach in upper classes of elementary school and youth education in general. The use of brain breaks creates more learning time and contributes to increased well-being in class. They are an easy and effective way by which you in a short time and with relatively little effort can make a big difference for the students and their learning process – all of which is a part of your class management and leadership. A brain break is an activity of typically 1-5 minutes, where students through movement, concentration and coordination generate new energy, attention and focus in the classroom. The greatest effect is achieved by cross-modal perception, where the left and right body parts are coordinated. • a reflection in relation to your own practice. “Brain Breaks. Activities that boost learning” is a book intended for teachers in primary and secondary education. The tools and brain breaks is applicable in all types of education, and will have equal effect on courses for adults and students at higher education. Team & class activities is a book for teachers and educators, who wish to work with student flourishing and class well-being along with the development of pupils’ personal and social skills. Through cooperative exercises and experimental learning, students enhance lifelong learning and skills to communicate and cooperate. The book is written for the reflective practitioner and is filled with tools and ways on how to facilitate the process before, during and after a collaborative exercise. • the opportunity to reflect on your own practice. The book is part of the series “Tools for class management” and is designed for educators and teachers in primary and secondary schools, who need a large repertoire of activities and tools to work specifically on developing personal and social skills. The tools and activities can be used in all types of education and will have equal effect at courses for adults and students at higher education. We are two authors, trainers and consultants. Since spring 2007, we have specialized in working with learning and skill development, particularly in the education sector. We have worked with more than 150 schools and 6,000 teachers, educators and leaders. We speak at conferences, organize long-term courses, educational weekends and courses focusing on learning, class management, team development, positive psychology, coaching, communication, cooperative learning and collaboration. In cooperation with the publishers “Dansk Psykologisk Forlag” we have since 2013 published books with tools for class management: “Class management in Practice” (2013), “Storytelling as a tool” (2014), “Brain breaks. Activities that boost learning” (2015) and “Team- & class activities”. Flourishing and social competencies “. We are both external lecturers at the Department of School & Learning at Metropolitan University College. Additionally we coach young people, teachers and leaders in teams and individual programs, as well as provide observation, feedback and supervision of meetings and teaching. Learning consultant, author, teacher, educator & coach. 25 years of experience in teaching, cooperation, communication, conflict management and class management. 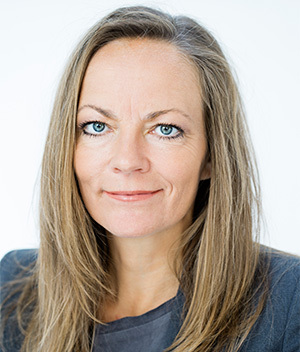 Besides being a consultant, speaker and coach Søs has been an instructor, trainer and supervisor of teachers and young people in Camp True North, that in addition to Danish experts in reading and learning styles also has a number of international partners. Søs also coaches young people in individual sessions. Learning consultant, author, educator & coach. Master of positive psychology & Master of Science in Economics and Business Administration. 20 years of experience in education with a focus on strategy, communication, fusion processes, people and organizations in development. Nanna specializes in team development, team coaching and intensive leadership course. She also teaches in higher education. She has been a member at the School Board and has been an instructor for young people aged 13-18 years in Camp True North. 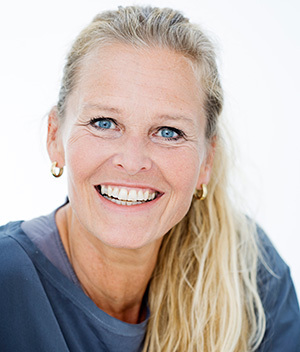 She is a master of positive psychology from the University of Aarhus.